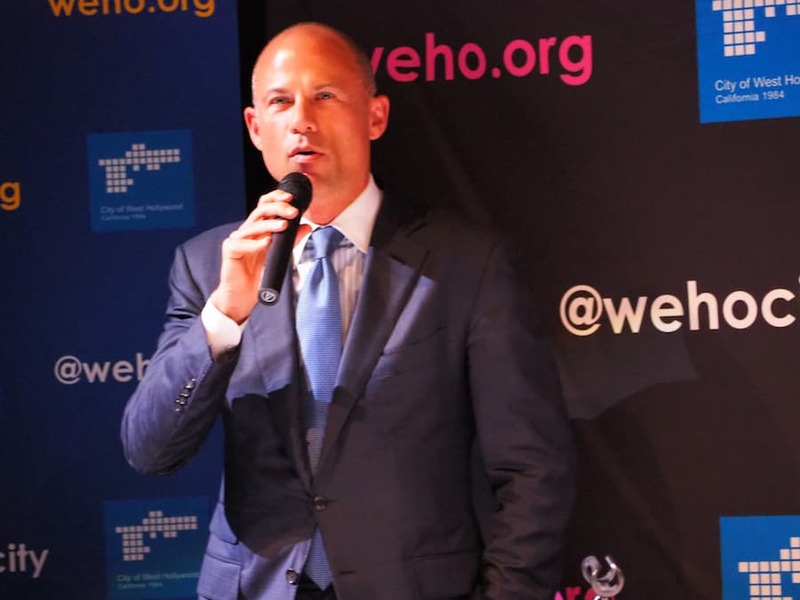 A few factors have culminated in what appears to be an organized Republican strategy to discredit one of their most vocal opponents, Michael Avenatti. Trump finally caved, breaking his personal endurance record for the longest span sans tweeting against a political adversary. The GOP in trademark fashion has guided their agenda to suit. Since March, Trump critic and Democratic crusader, attorney Michael Avenatti has been a splinter deep under the skin of our commander in chief. No doubt the administration has been anxiously awaiting the end of each news cycle, hoping (with fingers and toes crossed) that Avenatti would simply fade away. What seemed like a passing storm has churned into a force of energy that can no longer be ignored. The GOP has been hit by Hurricane Avenatti, and Republicans have started the spin. Sadly, even some Democrats are picking up the Republican talking points, like Hansel’s breadcrumbs to the witch’s oven. The narrative that Avenatti had a detrimental effect on avoiding a Kavanaugh confirmation was GOP-created, with some Democrats and liberal publications taking the bait. The notion that Avenatti had any effect on how Susan Collins voted is not only absurd but another step back for accountability. What’s more disturbing is that any Democrat would give credence to Collins’ attempt to discredit Swetnick, which was rich considering the effort Avenatti put forth to forward a proper examination of his clients’ claims. This is nightmare scenario 101 of any sexual assault survivor who considers speaking out. “No, not like Avenatti”, Bannon countered. “He’s fearless and he’s a fighter. He will coast through a lot of this field if he decides to stick with it like a scythe through grass.” Maher appeared to agree while Bannon continued, “I think we’re in a new age, I don’t think a traditional politician will be there at the end of the day. I always said it would be an Oprah or an Avenatti, somebody who’s more media savvy”. Trump’s recent attacks have been an exercise in projection, calling Avenatti a con-artist, low-life, and accusing the well-known litigation attorney of being a “third-rate lawyer who is good at making false accusations”. First of all, let’s take another look at the trademark Trumpian irony. The allegation that Avenatti has made false accusations against Trump is a false allegation in and of itself. Throw yet another lawsuit against our president onto the pile. Avenatti’s legal record and awards for courtroom excellence speak for themselves where attorney ratings are concerned. There is no disputing that Avenatti is at the top of his field, and is certainly no Saul Goodman / Michael Cohen. The allegations made against Trump have played out exactly as Avenatti predicted. Cohen has since admitted that Trump directed the Daniels payout and is cooperating with Mueller. Those allegations seem on the money. 130G to be exact. The attacks on Avenatti have crossed over into the absurd. A rumor began circulating that Avenatti’s third Kavanaugh accuser was an anonymous 4Chan (anonymous forum website) troll who “played Avenatti” with a couple of burner phones. A few days later, Avenatti produced Julie Swetnick, a real live person with a truly horrific story. The subsequent Republican slurs on her credibility were textbook, and entirely predictable. Not long after the “anonymous troll” rumor, conservative host Bill Mitchell retweeted a photoshopped, phony tweet. The fraudulent image appeared to be a tweet from Michael Avenatti declaring “4chan is playing a very dangerous game right now. I could shut it all down in an instant”. Avenatti responded by calling out the “fake tweet”, but the trolls have been working overtime, and one can only assume the reason is that Avenatti has become a legitimate threat to the administration and GOP agenda. As to the veracity of the allegations against Kavanaugh made by Avenatti’s client Julie Swetnick, let’s look at what each party would gain by lying. Common sense examination sheds some light on the risk / reward ratio. Swetnick provided a sworn declaration under penalty of perjury, and witnesses to corroborate her recollection of characters and events. Avenatti and Swetnick repeatedly asked (nearly begged) for a full FBI investigation, and offered to undergo a polygraph and eight hours of cross-examination if Kavanaugh would do the same. No deal from Brett Kavanaugh or Bart O’Kavanaugh. Avenatti has since issued a challenge via Twitter: “If Brett Kavanaugh & his supporters are so convinced that all of the scores of women (inc my client) are lying, he is innocent, he has been so wronged, & his reputation has been damaged for no reason, then he should sue us all -TODAY. I hope that he does so we can prove the truth!”. There seems to be a bad case of the Avenatti flu going around. After six months of the silent treatment, many Republicans have suddenly had the collective urge to discredit their feisty rival. Donald Trump, Lindsey Graham, Mitch McConnell and Susan Collins have all disparaged Michael Avenatti in the span of a few weeks. Cahoots perhaps? The fact that Democrats don’t recognize this as an organized GOP effort to neutralize an obvious threat should be code red that the blues have a serious problem. The Democrats’ tendency to eat itself is still an issue, even with all that’s at stake. No, Susan Collins was never going to vote against party, and Michael Avenatti is not responsible for the Kavanaugh confirmation. If Ford’s public testimony wasn’t enough to persuade Senator Collins, nothing was ever going to do so. To think that Avenatti was a factor would require you to believe that proper due process was ever possible. You would have to assert that Senator Collins’ vote was in question. The relevant FBI investigation which lasted all of a week should be a clue as to the integrity of the Kavanaugh process. It was clearly a done deal before it started. Stoking divisions within the opposition party is a tried and true Republican tactic, so disparage a fellow Dem at your peril. Be mindful of the strategies meant to weaken our strongest fighters and to divide us – despite the goals that we all so passionately share. Lay blame where it is due. In this case, the problem is a ruthless Republican majority who confirmed a man unfit for the position, sacrificing country for party. Finally, let’s give credit to those in the Democratic party not only raising money and awareness for the almighty midterms, but holding those currently in power accountable to the institutions that make our democracy possible.